Looks like luxury brand Vertu is shifting to a new operating system for its phones, with the new OS in question being Android. After separating from Nokia, Vertu is now also distancing itself from the now outdated Symbian and towards greener pastures. 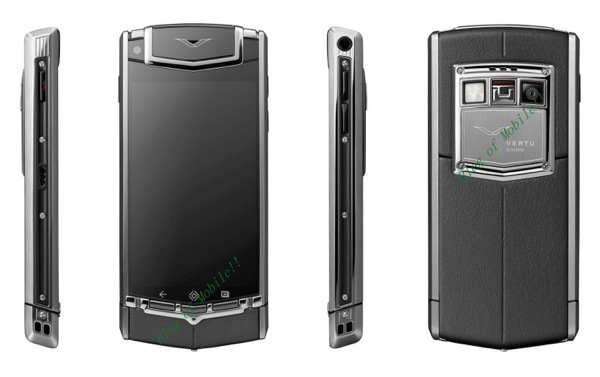 The first rumored Vertu phone to be running on Android is the Constellation Ti. The phone has a 800 x 480 resolution display, 1.5GHz Snapdragon MSM8260A SoC, Android 4.0.4 and a rather minuscule 1,250mAh battery. 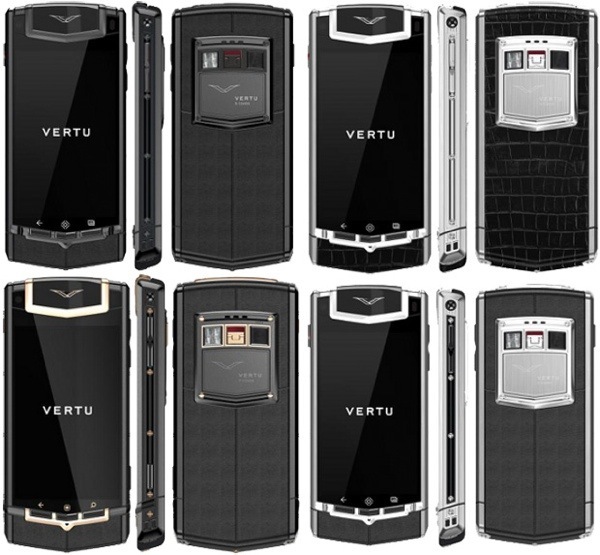 The specs aren't much but then again, Vertu devices have never been about specs but more about the quality of the materials used in their construction and the sheer snob value of owning one of these über-expensive devices. There are supposedly four versions of the Constellation Ti: Titanium Black PVD black leather, Titanium Black Alligator, Red Gold Mixed Metal and Titanium Black Leather. Each uses a different material and color finish for the body. The Red Gold Mixed Metal interestingly has a different key layout below the display compared to the others, as seen above, but it could be just an older version of the design. The device hasn't been confirmed yet but according to The Verge, Vertu is set to announce a new phone next month so it's likely this could be the one. Nokia will never do that and I appreciate them for that. Nokia gave me another option to choose, not always android (android here android there I'm sick of Android). That's why I like Jolla, and BB10, they are something new.